Mitsui & Co. (Australia) Ltd. invites university students to help promote mutual understanding and friendship between Australia and Japan by taking part in the 2017 Mitsui Educational Foundation Study Tour of Japan. 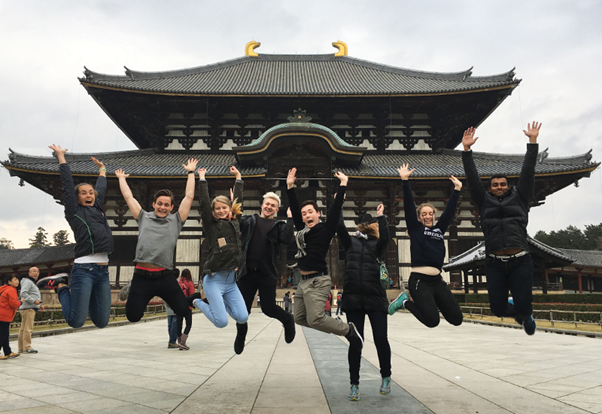 The 21 day study tour will take Australian university students through various regions of Japan, providing opportunities to learn about Japanese culture, society, business & industry, as well as participate in a number of people-to-people exchanges. For the successful applicant from the University of Adelaide, all airfares, transport, meals and accommodation will be paid for by the Mitsui Educational Foundation. This program runs from 21 November to 12 December, 2017.